Users of the "Graphical equation" function via the D2L HTML Editor will be presented with a notice as of Wednesday, March 7, 2018. 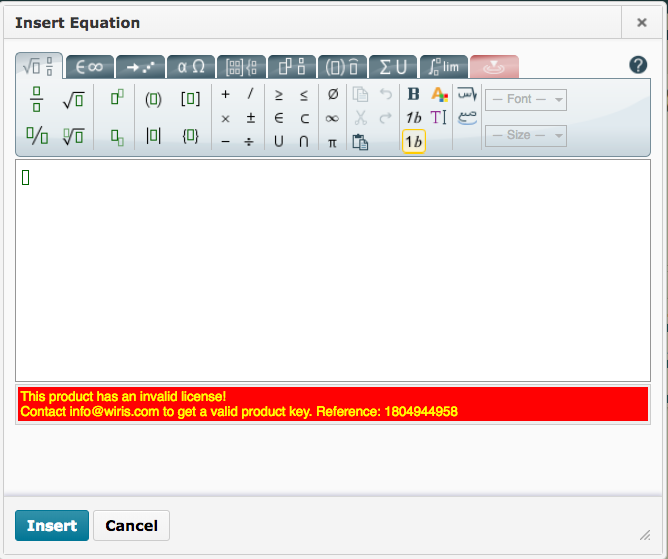 The function can be used to create and embed new equations, however, it will not be possible to preview the equation or edit existing equations. You do not need to report this to your local campus or the UW-Madison Help Desks.